Knowing the core strength of the U.S. military is in it’s advanced communication systems, it’s GPS and satellites, and it’s air and naval fleets that rely on these technologies, China’s military is pushing for electronic warfare systems that would disable or destroy them. The Chinese military held a training on the electromagnetic spectrum from Oct. 11 to Oct. 12 in Chengdu, the capital of western China’s Sichuan Province. Attendees were shown China’s new “joint electromagnetic spectrum management system,” and they discussed how to establish “electromagnetic spectrum management troops,” according to the Chinese state-run newspaper People’s Daily. U.S. Admiral Jonathan Greenert described the importance of the electromagnetic spectrum for the military, in an op-ed piece published in April on the defense website Breaking Defense. Electromagnetic spectrum includes all frequencies of electromagnetic radiation. It’s a broad spectrum of wavelength that goes from radio wave (used in radio communications), to microwave, terahertz radiation, infrared, visible light, ultraviolet, X-rays, and gamma rays (gamma radiation). Chinese military doctrine describes the use of such technology for electronic warfare. Its uses range from jamming signals at lower spectrums, to high-power microwave weapons to disable an enemy’s missile systems, to using electromagnetic pulse (EMP) at the gamma ray level to fry electronics in large areas. Because of the limitations in the frequency, and the critical nature of the technology, electronic warfare is closely tied to electromagnetic spectrum management. The Chinese training was held at the electromagnetic spectrum management center under the Chengdu Military Area Command (MAC). The headquarters of China’s various MACs and service branches sent close to 90 representatives from their information technology departments to join the training. The Chinese military is broken into various MACs, which cover different regions of China. 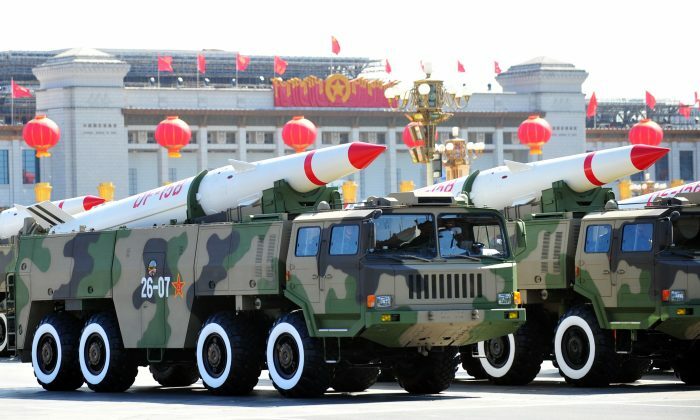 Each branch of the Chinese military works independently, yet they coordinate through “integrated joint warfare.” The Chinese approach is a less harmonious form of the “joint operations” employed by the U.S. military which has all branches working together, and is heavily reliant on advanced communication systems. A discussion was also held on monitoring the interconnection of military-civilian networks, according to People’s Daily. Representatives shared their experiences monitoring the networks, and included people from the information technology departments from the headquarters of the Shenyang MAC, the Nanjing MAC, and the Second Artillery Force. Former paramount leader of the People’s Republic of China Hu Jintao has been indicted by Spain’s highest criminal court for committing genocide in Tibet.